What does TUG offer to Timeshare owners? Access to Ratings and Reviews of thousands of resorts all over the world! These reviews are written by actual timeshare owners who have traveled to these resorts and give you an accurate account of the property, room, local attractions and more! Also view pictures from the resort as well as videos and virtual tours! Check out this Free Timeshare Review of the Marriott Newport Coast Vvillas as an example of what we provide! The TUG Timeshare Marketplace is one of the largest and most visited timeshare classified ad sites on the internet with $41,674,929.00 dollars in completed Timeshare resale and rental listings to date, ever single one of them open to the public and commission free! Join Tug now and post your Timeshare for sale, rent and exchange for free for the entire year! TUG Advice is probably the most helpful section of the site for new buyers/sellers just getting into timesharing. Written by owners, members and experts. These articles cater to the entry level and intermediate level timeshare individual and are a must read for anyone thinking of buying or selling a timeshare and those who want to make the absolute most out of their timeshare experience! At the very least read this article on "How to Sell your Timeshare" free just for visiting! 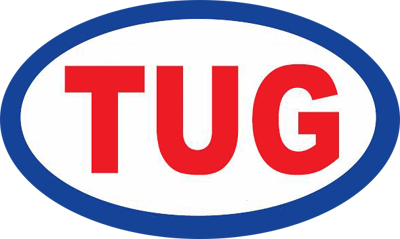 1 Year NEW TUG Membership - $15 - All members get FREE resale, rental and exchange ads in the marketplace! 1 Year TUG Membership RENEWAL - $15 - All members get FREE resale, rental and exchange ads in the marketplace! 3 Year TUG Membership RENEWAL - $30 - only 10 dollars a year, plus FREE classified ads in the marketplace! Our secure online payment system provides you instant access to TUG! A link on the on-screen receipt will allow you to access/create your membership immediately! All major Credit cards and Paypal are accepted! Pay using your existing Paypal account. Paypal payments are processed SAME DAY but do not provide instant access. Paypal membership required. All major credit cards are accepted. Please note you can now use the online secure payment system to submit paypal payments and get instant access! Call us toll free at 1-800-243-1921 or locally at 1-904-298-3185. The phones are usually answered weekdays between noon and 4PM EST. Mail us a check. Send a check to: Timeshare Users Group, PO BOX 1442, Orange Park, FL 32067. Be sure to include your email address on the check. If paying with the Secure Online Payment system, there will be a link in both the on screen receipt as well as the instant email receipt that will let you setup your account immediately! TUG will also send you a “Welcome to TUG” email within 24 hours as that explains everything you get with your membership! Please be sure to check your spam/junk email folders if you do not see these expected emails from TUG!